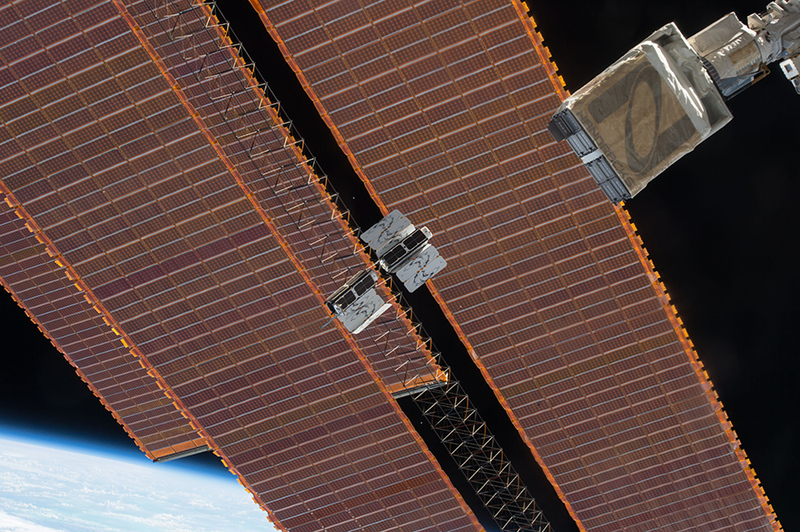 Three SmallSat operators in the United States have received contracts to deliver Earth Observation and meteorology data to the U.S. government, further cementing a trend of growing CubeSat and MicroSatellite use for operational applications in Low Earth Orbit. The National Geospatial Intelligence agency announced last week that it had awarded a $20 million contract to Planet Labs, based in San Francisco. 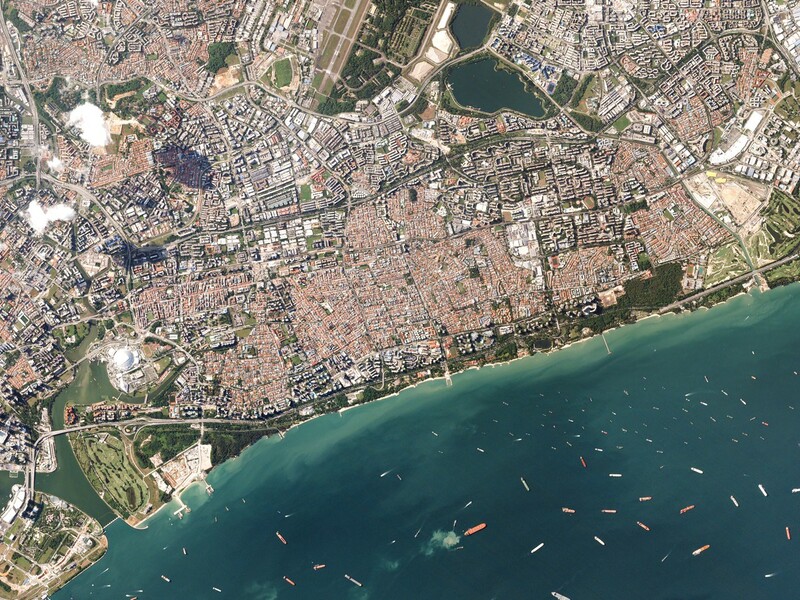 Planet Labs presently operates the largest Earth Observation constellation with several dozen satellites actively gathering multispectral images of Earth at a resolution of up to three meters. 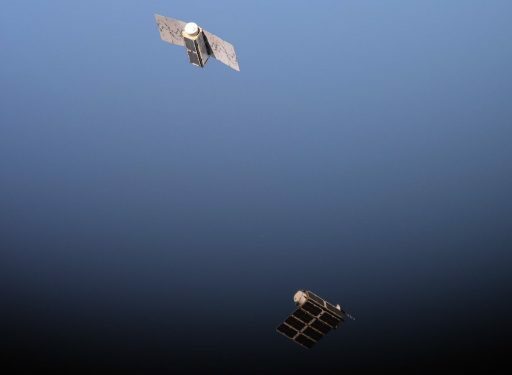 To date, Planet Labs deployed over 130 Dove satellites – most were placed into orbit from the International Space Station but Planet also operates a polar-orbiting segment of the constellation in orbits that are longer-lived than the 400km insertion orbit when using ISS as an orbital launch pad. The 3-Unit CubeSats, weighing close to 5 Kilograms and measuring 30 x 10 x 10 centimeters in size, host small telescopic imagers that can collect panchromatic, color and near infrared imagery of Earth. Operating a large constellation of low-cost satellites enables Planet Labs to provide intraday revisit capacity for most locations on the globe and enable quick-tasking of satellites to respond to real-time demands for imagery. Also, Planet Labs integrated new data processing techniques to deal with a vast amount of data delivered by the space segment every single day. “The global scope of coverage and high temporal frequency of collection from Planet labs will provide NGA with new data sources to support its many missions,” the agency said in a statement. The NGA is a U.S. Intelligence Agency tasked with the collection, analysis and distribution of geospatial intelligence in support of national security, military efforts and disaster management. Planet Labs replenished its ‘Flock’ of Doves last week when eight satellites belonging to the Flock-2e’ class of satellites were deployed form the International Space Station, using a NanoRacks CubeSat Deployer attached to the Station’s Japanese Robotic Arm to release the satellites in pairs. 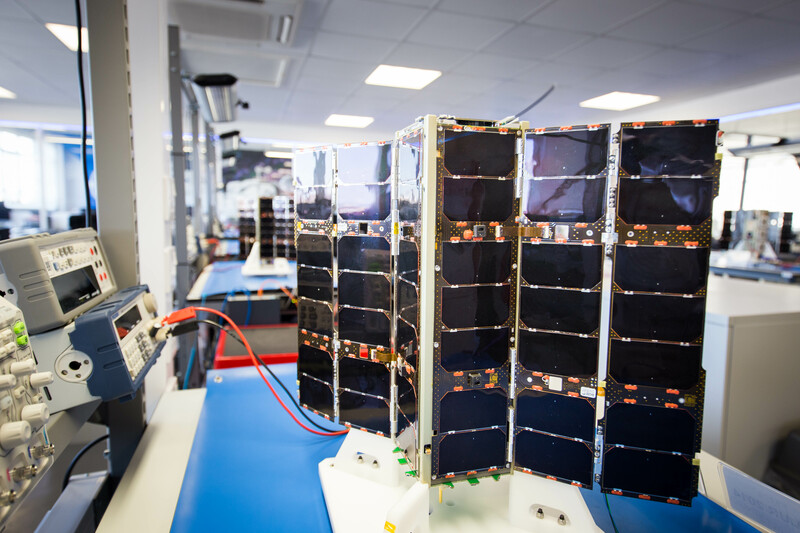 In addition to its Doves, Planet Labs also operates five 110-Kilogram, multi-channel RapidEye satellites after acquiring RapidEye last year. 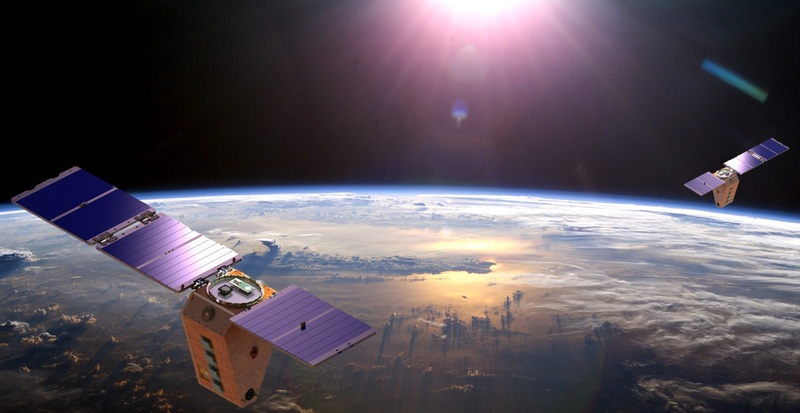 The National Oceanic and Atmospheric Administration awarded contracts to SmallSat operators SpireGlobal and GeoOptics last week for the delivery of weather data collected by Cube- and MicroSats. The two contracts have been awarded under a pilot program setting out to demonstrate the use of data from commercial SmallSats in operational meteorology. The deal with San Francisco-based SpireGlobal has a value of $370,000 and calls for the delivery of atmospheric data from the company’s Lemur-2 CubeSats that began deployment last year. GeoOptics, headquartered in Pasadena, receives $695,000 for atmospheric profiles generated by a constellation of MicroSatellites that will begin deployment in the coming months. Both companies use GPS Occultation Measurements to generate temperature, pressure and humidity profiles of Earth’s atmosphere for application in operational meteorology. This is accomplished by using GPS receivers to track the signals of several MEO satellites and measure the time delay and bend angle of signals that travel through the atmosphere located in the line of sight of the two spacecraft. These phase delay measurements due to refraction by the atmosphere can be made from the satellite altitude to very close to the surface leading to precise information on the properties of the atmosphere at an accurate vertical resolution. As part of the NOAA Commercial Weather Data Pilot, data from both satellites will be evaluated for implementation in data processing algorithms for weather forecasts and warnings. 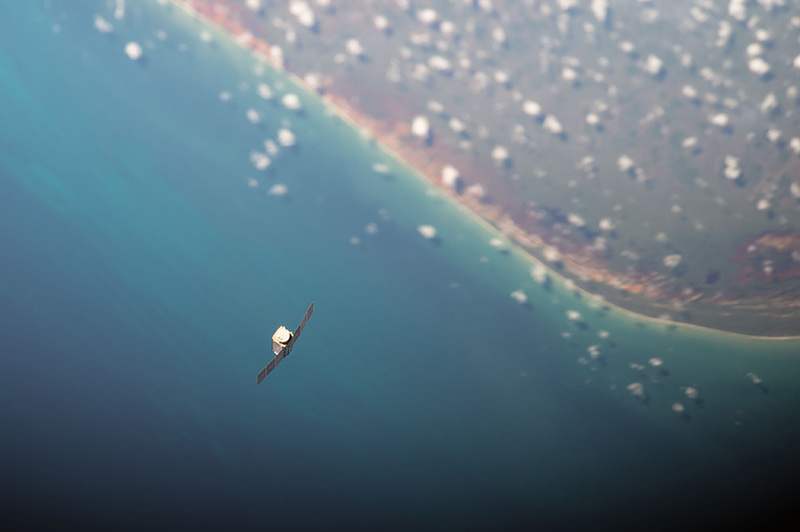 SpireGlobal currently has 12 Lemur 2 satellites in orbit, collecting atmospheric data and tracking ship traffic on a global scale in a second business branch the company is pursuing. Similar to Planet Labs, the company uses different delivery methods including satellite deployment from the Space Station and a variety of international launch vehicles. Three more Lemur 2 launches are on the schedule before the end of the year each with multiple satellites, but the company said that NOAA’s requirements can be met with the current constellation of 12 satellites, four of which operate in a polar orbit while the rest were deployed into the 51.6° ISS orbit. GeoOptics is looking forward to the launch of three ~100-Kilogram CICERO Satellites (Community Initiative for Cellular Earth Remote Observation) by January 2017 atop a Russian Soyuz rocket to begin gathering data through GPS and Galileo Occultation Measurements from multiple look angles per satellite. Large constellations of small satellites offer a number of advantages over NOAA’s large weather satellites. First and foremost, CubeSats and MicroSats are much more cost-efficient to manufacture and launch, plus mass production in a streamlined assembly line further reduces cost-per-satellite. Placing several satellites in orbit will yield thousands of daily measurements from across the globe compared to a handful passes of large satellite missions over any given location. Congress instructed NOAA to explore the use of commercial weather satellites after the agency suffered cost and schedule overruns within its own satellite programs in recent years. NOAA received $3 million in fiscal year 2016 for the implementation of the pilot program. As part of the pilot contract, Spire and GeoOptics will be required to submit data by April 2017 and NOAA will report on the suitability of data products for operational meteorology later in the year. 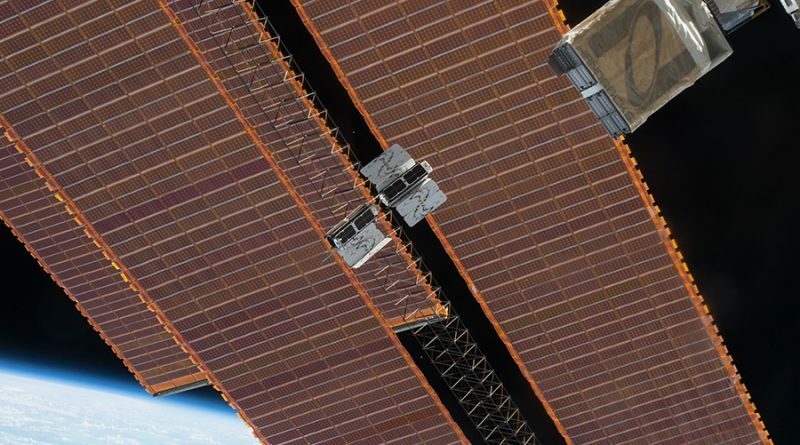 The contracts awarded to SmallSat start-ups support a shift in satellite technology away from large satellite missions to constellations of small satellites to reduce cost, increase robustness and enhance the quality and quantity of data products.